I’ve said it before, and I’m about to say it again – I’m a horrible blogger. It seems that over the course of the last six months, I just don’t have the energy to post anything. It’s not because I don’t have anything good to post, you can look at my Facebook page for proof of that. I think it’s because I’ve been posting so much on Facebook about my travels as the 87th MIJC President that by time I get done with that, I don’t feel like doing it again. And yes, I know that I could link this blog with the Facebook notes, but it doesn’t translate as I want it to look … and I’m a bit OCD about the way my notes/posts look. “Let me begin by telling you a personal story. I grew up in Kalamazoo, MI and was raised by my Grandparents. Every summer until I was about 11 years old, we would go on a weeks long vacation. Now, we would always go south and either visit Kentucky or Tennessee (where my Grandpa was from) or we would visit Maryland (where my uncle lived). Now our next door neighbors, the Kerecemen’s would also go on vacation during the summer, but they would go north. Usually they went to Traverse City or Mackinac City. So what’s the point of this story? Easy, it’s to tell you that until I went on my honeymoon in 1998, I never went north of the city of Grand Rapids, MI. When I shared this story with my wife, as we were planning our honeymoon, she got a grin on her face and said, “Well, we’ll just have to take care of that!” So she made sure that we went to Traverse City and to Mackinac. Yes, she made me drive over The Bridge – both ways. Yes, she made me drive in the outside lane. But later on, she made me drive on I-75 and we visited Bronner’s. 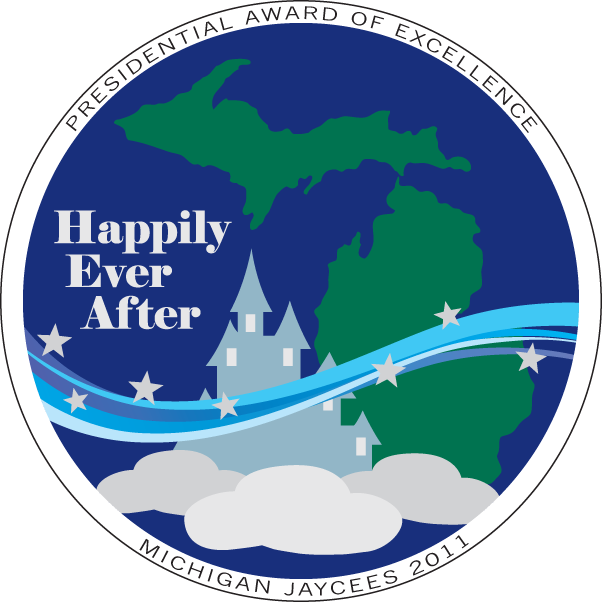 I joined the Kalamazoo Jaycees about three years later and as I moved up in the organization, I started hearing about the things that the Frankenmuth Jaycees did for their community … but it was all hush-hush for some reason. I assumed it was because I hadn’t eaten at Zehnder’s yet or had sampled the Black Label – I wasn’t fully initated or prepared for the Frankenmuth experience. Howrever, in time my good friend Deb Cross brought me to attend the World Expo of Beer in 2004. Now for a guy who lived a pretty sheltered life, imagine how amazed I was at the spectacle that is the World Expo of Beer. Imagine, how amazed I was at that event. Imagine how impressed I was to see a group of young leaders raise over $100,000 for their community. This group of people put the energy of WEB, energy I’ve felt and carried with me, into the restoration of a local park, into the building of a canoe launch, and into a new playground. They’ve put it into numerous programs that improved the life of everyone in the city of Frankenmuth. And it only took me 30 years to get here. In the Jaycees, we remind each other and the world that one person can make a difference. When I swear in a new member of the Jaycees at any of our 43 chapters, I have them say, “I am one and I am only one. I can’t do everything, but I can do something …” For 50 years my friends in the Frankenmuth Jaycees have been doing some amazing things. And to the point that one person can truly make a difference, your Past President Bill Hart had an idea that started the Volkslaufe. It is because of that event, that my son Alex experience Zehender’s Chicken for the first time. Thank you, Bill for helping share great food with my son. My tag line that I use for my year as MIJC President is “We Build Leaders!” and I always ask Jaycees throughout our state what is it we do. But to be fully honest with you, I can’t take credit for that tag line. I can’t take credit for it because, in a way, it was copyrighted and trademarked right here in Frankenmuth. It’s been passed on for 50 years and it’s been handed down to a group of 80 + young professionals who I am blessed to honor this evening. In fact, I’m proud to say to my FrayJays that you are the top growth chapter of the year. You are +8 and it’s only March 4th. You are doing great things and I thank you for that. I’ll leave you with this parting thought. It may have taken me 25 years to learn that there’s nothing to fear in the lands north of Grand Rapids, MI. Indeed there is a very bright and happy place just north of Flint, located off of M-83. It’s a place where the people of the city of Frankenmuth build the best leaders around – and they’re called the Frankenmuth Jaycees.